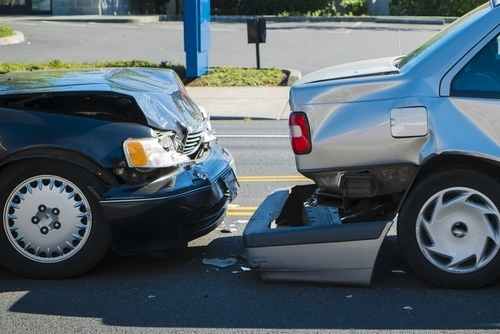 What Kinds of Injuries Are Common in Rear-End Collisions? Rear-end collisions are extremely common—and dangerous. Even at slow speeds, these kinds of collisions can cause a long list of potentially serious injuries. Preventing these collisions, and the resulting injuries, from occurring is why Pulse exists. Here is a look at just a few of the injuries that are common in rear-end collisions. Whiplash is the injury that people associate the most with rear-end collisions. It occurs when your head is knocked forward and backward in quick succession, causes your neck to snap violently back and forth. This stretches the muscles and can cause misalignments in the vertebrae along the cervical spine. Whiplash doesn’t always cause symptoms immediately, so many people walk away from a collision thinking that they are fine, only to have whiplash symptoms occur days later. Experts recommend getting evaluated for whiplash after a rear-end collision even if you feel fine after the accident. Read-end collisions often cause head trauma. The impact of the crash can cause drivers and passengers alike to slam their heads into the dashboard, windshield, steering wheel, or other car components. The force of the impact can cause a concussion. Like whiplash, concussion symptoms are not always evident immediately after an accident. Because there is no way to know the severity of a concussion without medical evaluation, all head traumas should be checked by a doctor. Broken bones are common in all kinds of car accidents, including rear-end collisions. Broken bones can have long-term impacts on your ability to work and keep up with your responsibilities, because the recovery period can be lengthy. Some people experience lifelong issues after a breaking a bone if it doesn’t heal correctly. Pulse makes driving safer for everyone. Our pulsing brake lights make it easier for drivers to see you when you’re slowing down, giving them more time to react. Visit our website for more information, or ask for Pulse at a dealer near you.